There are several commonly held misconceptions and presumptions about Pinterest that are simply untrue. As a Pinterest strategist, some frankly infuriate me! So, I want to set the record straight. 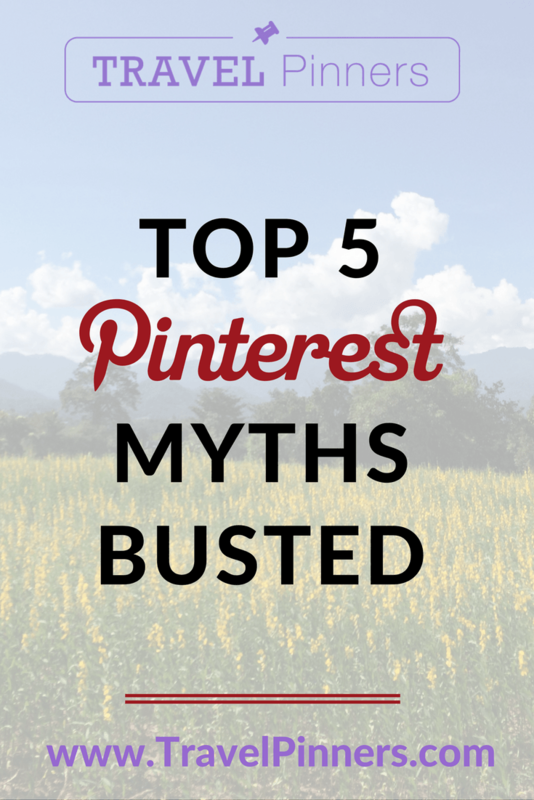 I’m busting the top 5 myths about Pinterest (and throwing in some extra encouragement for your Pinterest marketing strategy for good measure). Up until last year, I would have said yes to the myth that Pinterest is a woman’s platform, as the previously known statistic about Pinterest was that 80% of users were female. However, the tides are turning for Pinterest. Now the platform reports a user base that measures roughly 60% female and 40% male. So if the targeted audience for your travel brand is male, reconsider this platform for its growing male usership. Another important thing to remember is that everybody sees different content tailored to them on their Pinterest accounts. Pinterest uses machine learning to deliver a great user experience and show you the kind of content that you have expressed interest in. If you sign up as a male, the “Pinterest machine” offers suggestions for interest lists to follow that cater more to men’s interests. You can also target the male demographic for your travel services if you engage in paid advertising using promoted pins. While recipes make up 50% of the content on Pinterest, the other 50% of searches consist of a whole range of things, including but certainly not limited to travel, DIY crafts, collectibles, beauty, fashion, fitness, diet, and more. If you think your brand isn’t right for Pinterest, search some keywords associated with your niche service into the Pinterest search bar and see what’s floating around. If you can find it there (and I’m almost certain you will), there is room for you on Pinterest. 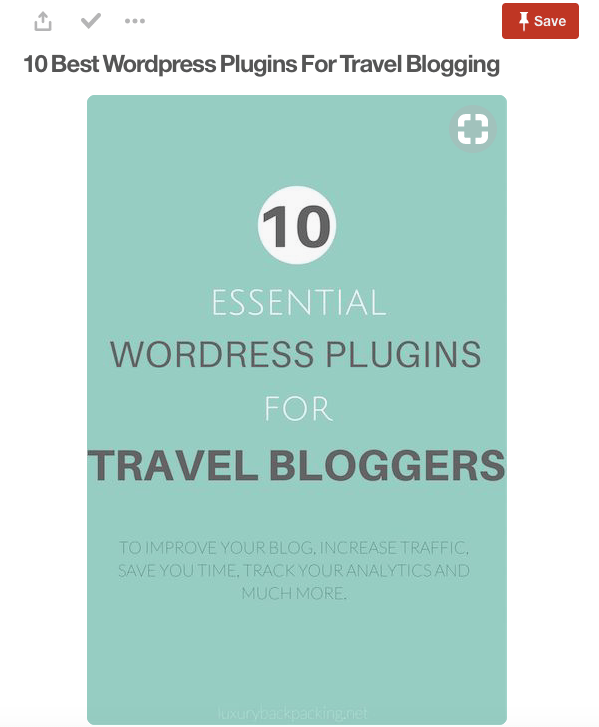 Anyone searching for solutions to their problems will be looking on Pinterest, so virtually any travel business can consider investing in a Pinterest marketing plan. I’ve heard over and over again how people “tried Pinterest for a month” and quit because it didn’t generate traffic or ROI for their travel business. The truth is, Pinterest can bring traffic to your travel brand. However, Pinterest isn’t the typical place for overnight success. Instead, it takes time and strategy. Since Pinterest operates using machine learning, you need to teach it that you are a reliable, high-quality source of information that appeals to your audience. Your engagement will have a snowball effect, and Pinterest will give more impressions to your account as it becomes more established. With a focused Pinterest marketing strategy and implementation, you will see results over time. Anyone who thinks that being on Pinterest requires beautiful professional photography is seriously mistaken. If you don’t have photos of your own, you can easily buy and use on-brand stock images that convey your message. You can also design graphics associated with your brand with no image at all, but an attractive design with text overlay. A solid color background and a simple graphic with text is effective imagery on its own. Aside from the image itself, Pinterest sees what keywords you use in the pin description and original image file. Pinterest is showing people your pins based on the search keywords that the user is types in, so you don’t need beautiful images to promote your content (although it helps to attract attention among other pins in search results). Some people believe that Pinterest is “dead for organic traffic” or that, because Pinterest has ads now, all the impressions are only going to the people with paid advertising. This is completely false. In fact, most of my travel clients are implementing organic strategies, and 99% of them are experiencing consistent growth in engagement and click-throughs. If you are strategically using keywords, your graphics are up to par, and you are putting in the work consistently over time, you will most likely experience traffic growth, too. Unlike other social platforms, the top search results are accessible on Pinterest. You can easily work your way to the top of the search results because they are dynamic. Pinterest always shows new results because it wants its users to see new and trending content. 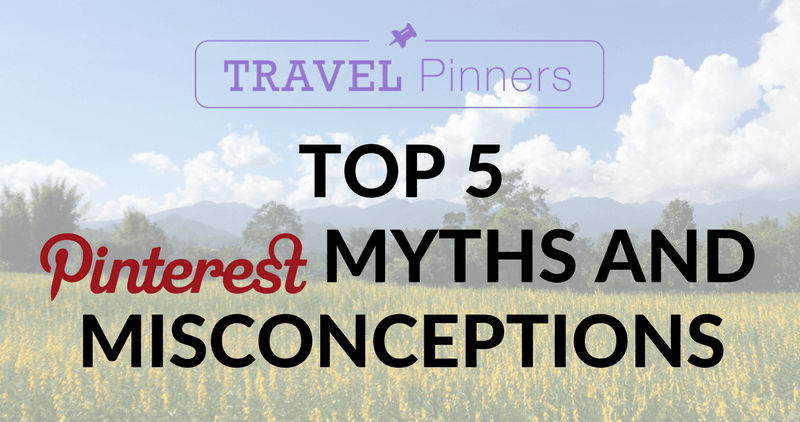 Now that the mist of Pinterest’s most common misconceptions has cleared, what are you waiting for?